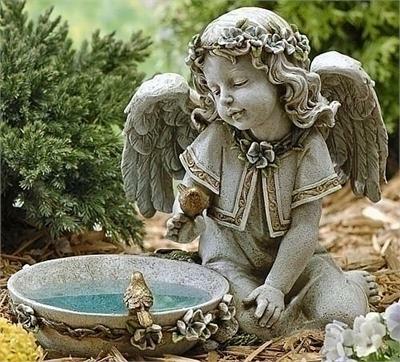 A sweet little angel girl seems touched to see the birds and sits by a bird bath as she entertains her birdie friends. Resin and stone mix. Solar statue.